Tailored approach, providing opportunities to meet individual need. The Academy’s aim is for its students, whatever their level of academic attainment, to leave as confident, independent young women who are able to make a valuable contribution to society. To this outcome, it aims to provide an education which encourages every student to achieve her full potential regardless of her learning ability. The Learning Support Department is committed to providing high quality support to ensure that all students are included and make progress. All students follow the National Curriculum. However, within this provision, students will be supported to meet individual needs as identified by the monitoring and assessment systems in place. As part of this process the Learning Support Department will consult with teaching staff, parents/guardians and students. The advice and support of other professionals may also be sought to further enhance the support given so that provision is effective. The Learning Support department includes two classrooms for small group teaching and an office for the SENCo. Staffing comprises of the SENCo, a HLTA and learning support assistants. During Lunchtimes (Monday, Wednesday & Friday) we offer a supervised club where students can get homework support or a chance to come in and play games in a supervised environment. How does the school know if students need additional help and what should parents do if they think their daughter has special educational needs? Liaison in the summer term of Year 6 with our feeder primary schools. In school testing to establish Verbal Reasoning, Non Verbal Reasoning and Quantitative data. Liaison with previous secondary school, if relevant, following in year admissions. If a student is performing below age expected levels, we will investigate to determine whether additional support is required. Concerns may be raised by student’s teachers, for example low self-esteem could be affecting performance and indicate an underlying need. Liaison with external agencies e.g. Health, as appropriate. How can parents raise concerns if needed? Talk to us – first contact your daughter’s Subject Teacher, Head of Year or the SENCo. 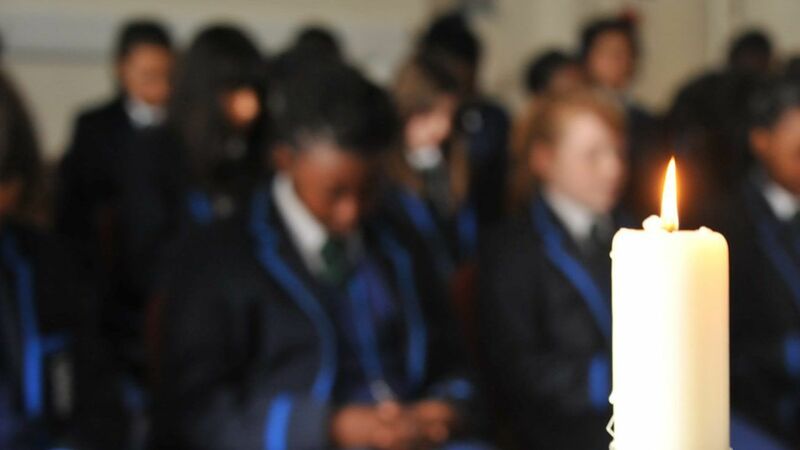 To achieve academic excellence there needs to be open lines of communication with parents/carers and we encourage parents/carers to keep the school informed of any changes in circumstance and alert the school to any concerns in a timely manner. How will the school support my daughter? The Senior Leadership Team and SENCO oversee all support and progress of any student requiring additional support across the school and this is monitored regularly. Subject Teachers plan for and work with every student with SEN in their class to ensure that they are making progress. The SENCo will decide the most appropriate support/intervention programme to match the needs of each student with SEN.
Timetables are tailored to individual need. There may be a Learning Support Assistant or SEN Teacher working with your daughter either within the classroom as part of a small group or individually on a 1:1 programme as determined by the SENCo. Access arrangements to enable students with SEN to access public examinations is based on students meeting specific criteria in accordance with the guidelines produced by the Joint Council for Qualifications. SEN students may for example, have the support of a reader, scribe or extra time provided they meet the requirements set out in the guidelines. Subject teachers meet with parents/carers at Parents Consultation Evenings to discuss student progress. The SENCo is available by appointment throughout the school year. How will the Curriculum be matched to my daughter’s needs? All work within the classroom setting is planned in advance at an appropriate level so that all students are able to access the work according to their needs. Work may be specific to an individual e.g. for a visually impaired student or for a student with dyslexia. Subject teachers are supported by the SENCo to make appropriate differentiation for students with SEN.
How does the school know how well my daughter is doing? Progress in interventions received by students with SEN is monitored by the SENCo to ensure that the student is receiving an appropriate intervention to meet their needs. Teachers are made aware of any interventions a student with SEN is receiving and will be asked to monitor the impact in the day to day classroom setting. The SENCO is a qualified teacher. The school works with the Local Authority SEN services such as Hearing Impaired, Visually Impaired, Speech and Language, Educational Psychology. We also access Outreach support from Special Schools such as New Rush Hall and Newbridge. How does the school prepare and support students when joining or leaving the school? All prospective students with SEN are encouraged to visit the school with their parents/carers. Primary transition is arranged in the summer term for all students, additional visits may be arranged for students with SEN as deemed necessary. The SEN department aims to attend Annual Reviews if invited by Primary Schools. The school liaises with colleagues when welcoming students with SEN or when students transfer to different schools to ensure a; paperwork is passed on and needs are discussed and understood. The school supports students with SEN in applying for college placements. We liaise with colleges/schools and advise them of any SEN, the support we have had in place and any access arrangements for public examinations.